Get CPR certified online with ProCPR.org and then do a remote skill evaluation with an instructor using your SUMO™ manikin kit. Visit ProCPR.org to get CPR training from a licensed paramedic and pass the multiple choice test. Our students love learning whenever and wherever they want. Order your SUMO™ kit and receive it in 3-5 business days. Your kit contains everything you will need to be skill evaluated without ever leaving home. Schedule your live face-to-face skill evaluation with one of our certified in-house instructors. The evaluation will take around 40 minutes and requires only a web cam and speaker phone. Not only is classroom training inconvenient, it just isn't the best way to learn. Rather than learning at the pace of the slowest student in the class, you can learn at a speed that works best for you. Pause, rewind, or stop and come back later when you can focus your full attention on the training. 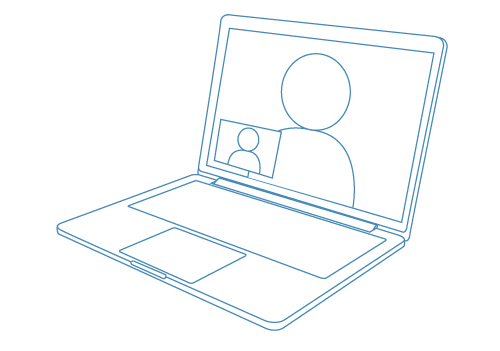 And with SUMO™, you don't have to sacrifice face-to-face time with an instructor for the convenience of online education. We believe you shouldn't have to pay a premium for your training. 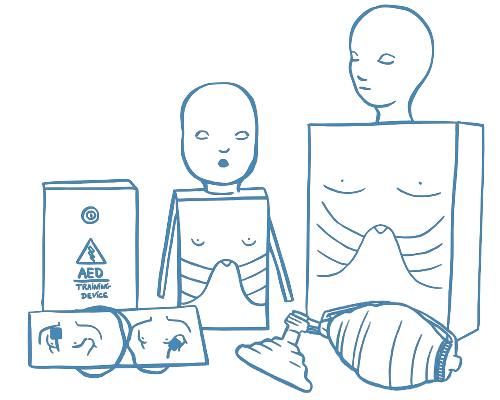 The SUMO™ manikin kit was designed to be as inexpensive as possible while satisfying the requirements for a professional CPR evaluation. At a cost of only $10 for the skill eval, convenience has never been so affordable. Learn more about the pricing. Ready to learn CPR at your pace? Prefer to do your skill evaluation in person? Find a skill evaluator near you.